It’s time to roll with Rocky and his Jungle Truck with rotating forklift, plus real working wheels for push play action! 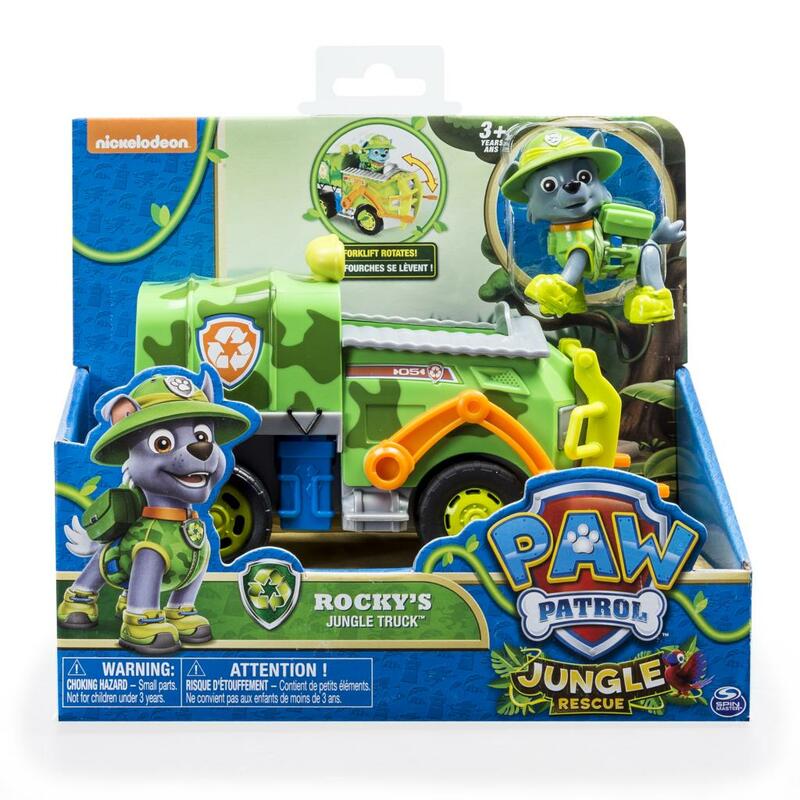 Rocky’s articulated paws are poseable on and off of his vehicle! 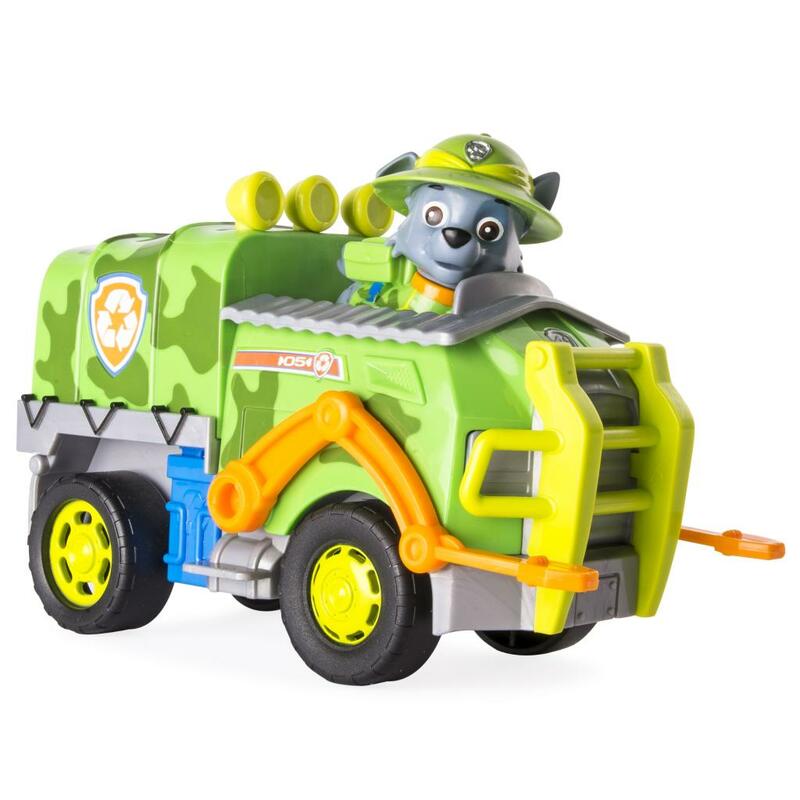 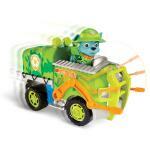 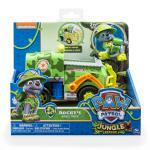 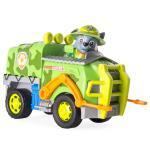 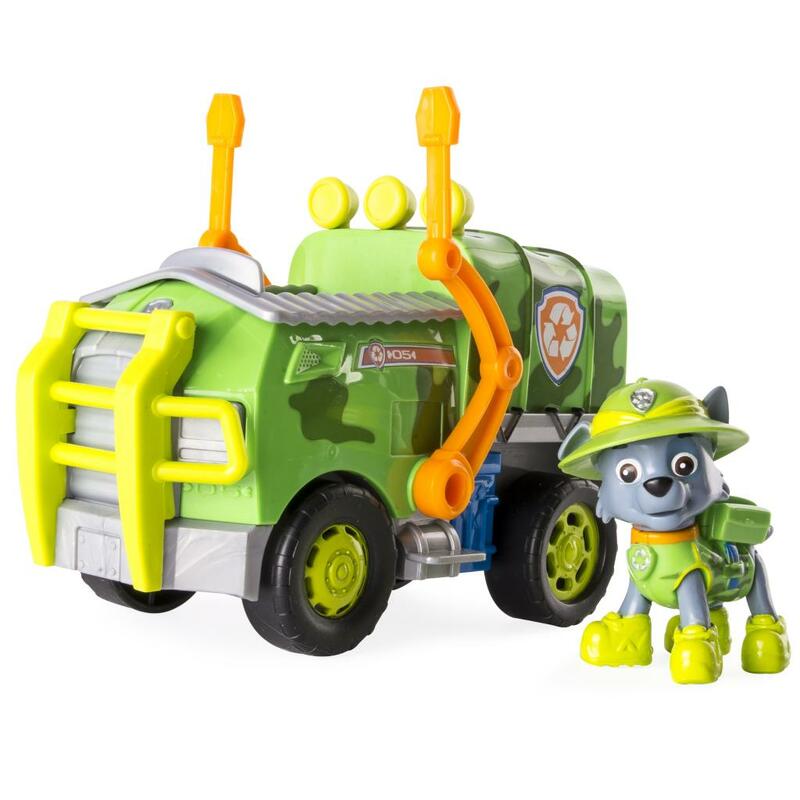 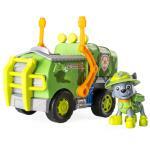 PAW Patrol Rocky’s Jungle Truck comes to the rescue of PAW Patrol fans ages 3 and up.